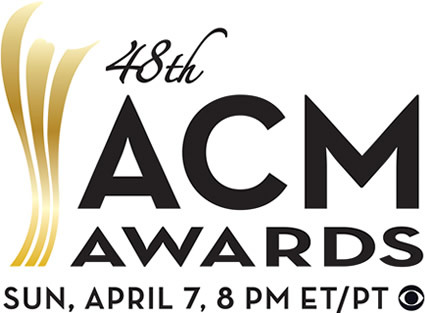 The nominations for the 48th Academy Of Country Music Awards were released earlier today. Whilst I always find the ACMs difficult to predict because the amount of newer artists and fan-voted categories, I also always find it interesting to predict who I think will win. I am only going to predict the main awards but if you want my opinion on any of the others just let me know. This is always an interesting category as it's one of two fan-voted categories (the other being New Artist Of The Year) I think the fan-voted aspect will help to push Luke Bryan to the win. He's been having a lot of success recently and this will continue it. This is developing into quite a tough category. I would love to see Eric Church win this, his wins at last years CMAs show country music is becoming a lot more receptive to his music and he definitely deserves it. It's surprising to see Kacey Musgraves nominated here against such well known artists. As much as it would be interesting to see Kacey win this I don't honestly think that's going to happen, instead it will probably go to Carrie Underwood. It could be close between Carrie and Miranda Lambert but I think Carrie will just win. This is a tough category to predict this year. Interestingly Flordia Georgia Line receive a nomination instead of The Civil Wars (in terms of comparison to the CMAs). I think Thompson Square will win the award this year although they could have tough competition from Florida Georgia Line. This is always the toughest category to predict. Ultimately I think Little Big Town will continue their current run of success but if they don't win I would like Zac Brown Band to win. Each of these artists has already won an ACM award in their respective "New Artist" categories but I think Jana Kramer will win the overall award. All of these artists have been having a lot of success recently so it's a very hard category. In my opinion this is between "Tornado" and "Chief" and I'm going to go with "Tornado". The album is one of Little Big Town's strongest with a brilliant selection of songs. As with Album Of The Year, I think this once again comes down to Little Big Town with "Pontoon" or Eric Church with "Springsteen". Whilst I would be happy if either artist won I'm going to go with "Pontoon". It has become somewhat of a anthem since it was released and is a great song generally. I think "Over You" wins this one. Although the Single Record and Song nominations are similar "Over You" is quite lyric based and I think people love the story behind the song which contributes to it's success. I always find Video Of The Year hard to predict but think it may go to Kacey Musgraves for "Merry Go Round" - it is a well produced video and Kacey definitely deserves an award. I love that David Nail is nominated for this although I don't think he'll win it unfortunately. Whilst this is always hard to predict I think it'll go to "The Only Way I Know" - it's been a very successful song for all the artists involved. It's interesting that Brad Paisley isn't nominated at all and that Tim McGraw only has one mention (in Vocal Event Of The Year). I also feel Zac Brown Band should have had more nominations, possibly an Album Of The Year nomination for "Uncaged". Also strange that there are no Jake Owen nominations, he is having a very good year.